translations of Korean fiction and poems from the early 20th century to the present. The average Korean adult does not read so much as one book of literature per year, but that does not keep him or her from debating furiously about why the country has never won a Nobel Prize in literature. And, fairly or unfairly, it is always the translators who find themselves on the receiving end of much of the finger-pointing. In his new book, "The Culture of Mistranslation,'' Hankuk University of Foreign Studies English Professor Kim Wook-dong explores the quality of foreign language translations of Korean fiction and poems from the early 20th century to the present. Kim devotes a larger part of his book to analyzing mistakes than reviewing good translations, and provides his own insight on how authors and publishers can ensure that their works are conveyed more accurately in different languages. The first chapter of the book is devoted to revisiting the debate between different writers' associations over translations. 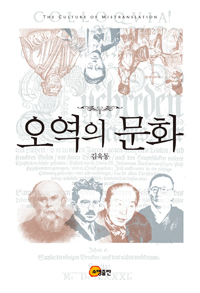 It was the 1920s that the issue of translation began to be dealt with by Korean authors. Kim lauds their effort to discuss the issue at that time, because translation theories only began to emerge after World War II in European countries. Some of the major issues Korean authors discussed were the mistranslation of foreign works into Korean and whether it was better to translate liberally or word-for-word. Translation at the time was usually from Japanese to Korean because most of the foreign literary works were first translated into Japanese and then into Korean. Hence, Korean translations could not carry the same meaning from the original text. In the second section of the book, Kim dissects the problems in Korean literature translations. Kim points out that more mistranslation is common in literary works than academic works because of the connotative meaning of expressions. He categorizes the different types of mistranslation as follows: carelessness, misspelling and omission of words, misinterpretation of language, misunderstanding of proverbs, misunderstanding of culture, mistranslation of dead language, mistranslation of rhetorical language, mimetic and onomatopoeia, and Chinese characters. He gives examples of mistranslation for all of these categories and suggests a better expression for all the bad examples. One of the notable mistranslations he cites is of poet Han Yong-woon's "Meditations of the Lover" by Kang Young-hill and Frances Keelly. The translation is wrong from the title, he says, because the meaning is closer to "silence" than "meditation" in the original text. Another critical mistake in the translation was the addition of a phrase in the first verse which goes "A lover is gone/ O my lover gone away/ as you loved me so I loved you!" The part "as you loved me so I loved you" is an added phrase which is not in the original text. To reduce the mistranslation in literary works, the author suggests an alternative way of translation which is "self-translation." Instead of requesting the work to a translator, Kim suggests the author of the work, if he or she has the ability to write fluently in both languages, translate his or her own work into the second language. This process called self-translation is not exactly a translation process but a re-writing and re-interpretation of the work into a different language, closer to "dual-writing" which means writing in two languages. This method gives special right to the author to not translate the work literally but create another version of the work with more freedom. He points to Samuel Beckett and Vladimir Nabokov as some of the foreign writers who pioneered in translating their own works into a second language. In Korea, writer Ahn Jung-hyo, was one of the first movers in translating his Korean work into English on his own. The English works of Ahn are significantly different from the Korean version because in writing the Korean novel into English, he freely translated, added and re-wrote some parts into the foreign language. This, according to Kim, allows the vagueness in the original text to be more clearly explained in the second language as well as change words and phrases into terms applicable in the Western culture.